Today we are celebrating their: Their team of artists and company philosophy. During her university studies, Becky Sheraidah worked one day a week with adults who had learning disabilities at a day centre. She thought the people at the centre did amazing artwork, but was aware of the barriers to employment for people with learning disabilities. To address the disability employment gap and support talented people with disabilities, she founded the social enterprise ARTHOUSE Unlimited, which employs adults who live with complex epilepsy, learning difficulties and physical disabilities. The employees work with instructors to create saleable artworks that are sold as designer products, and have sold their beautiful work to over a 160 shops across Europe. They also ethically source their products and work with organisations like Lush. 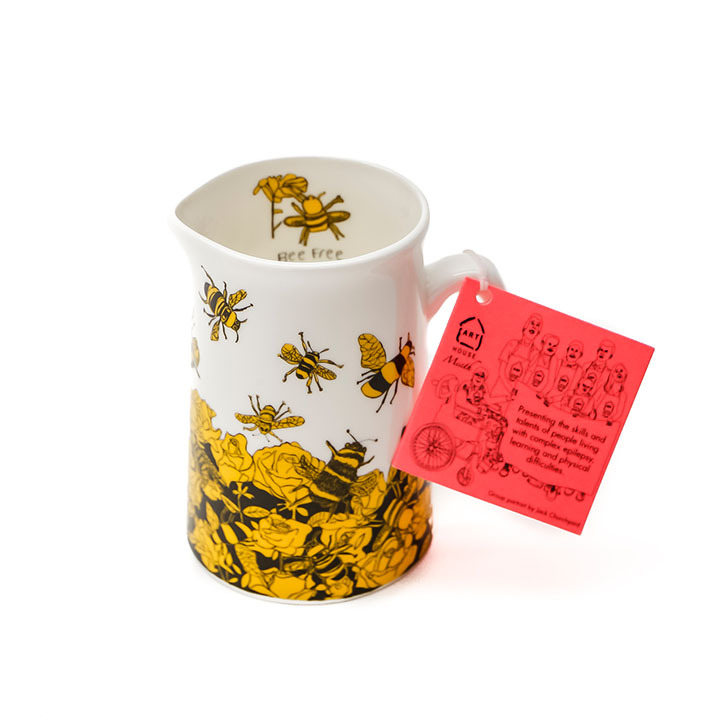 The bustling ARTHOUSE collaborative design has been arranged from the work of several artists, then bountifully arranged in rich, deep yellow on fine bone china. 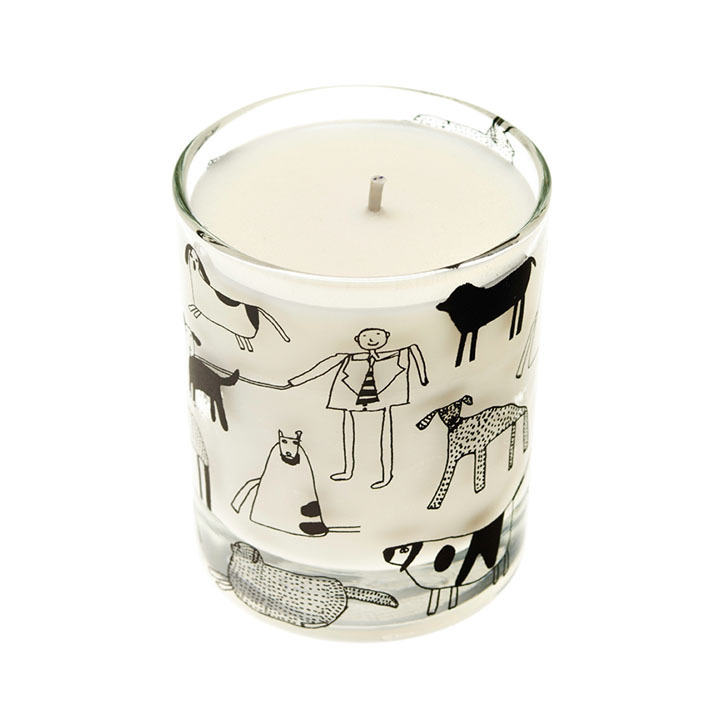 Margaret Mace’s delightful linework decorates this organic plant candle infused with the scent of rhubarb and ginger. 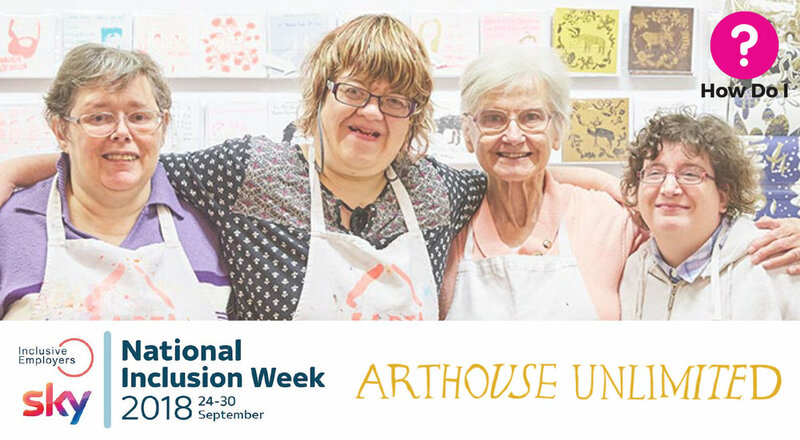 · Employees at ARTHOUSE Unlimited are given the chance to showcase their talent, which challenges assumptions about what people with learning disabilities can do. Their individuality also shines throughout their work, making their products unique and appealing to customers. For example, see Karen Brown’s card below. It’s hilarious and it is ARTHOUSE Unlimited’s most popular card. · Becky Sheraidah said she has noticed an improvement in the health of the ARTHOUSE Unlimited team – for example having something to focus on has helped some of her employees keep their epilepsy seizures at bay. Another employee also said they go home feeling quite relaxed after a day at work. · The artists are supervised by a professional instructor – so all the employees with varying needs receive the support they need to perform well at work.